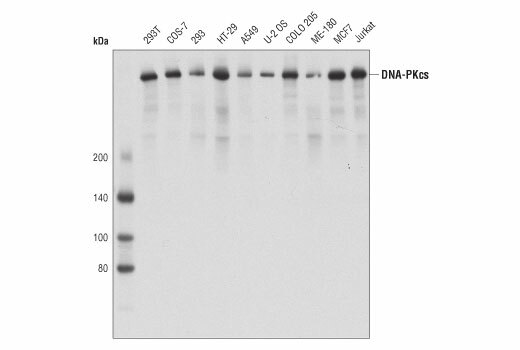 Western blot analysis of extracts from various cell lines using DNA-PKcs (3H6) Mouse mAb. 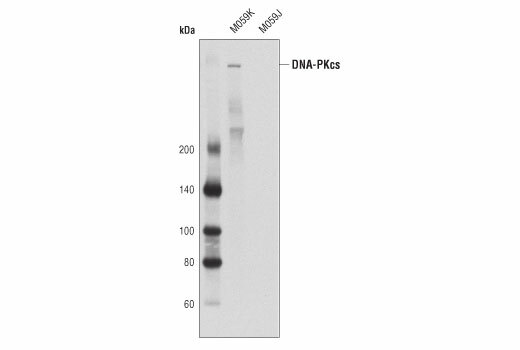 Western blot analysis of extracts from M059K (DNA-PKcs wild-type) and M059J (DNA-PKcs deficient) cells using DNA-PKcs (3H6) Mouse mAb. 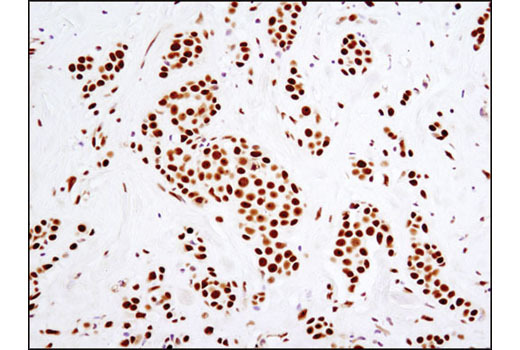 Immunohistochemical analysis of paraffin-embedded human breast carcinoma using DNA-PKcs (3H6) Mouse mAb. 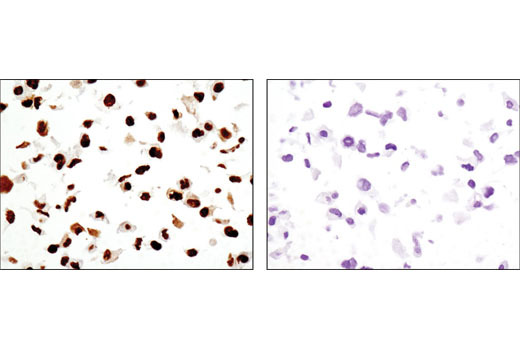 Immunohistochemical analysis of paraffin-embedded cell pellets, M059K (DNA-PKcs wild-type; left) or M059J (DNA-PKcs deficient; right), using DNA-PKcs (3H6) Mouse mAb. 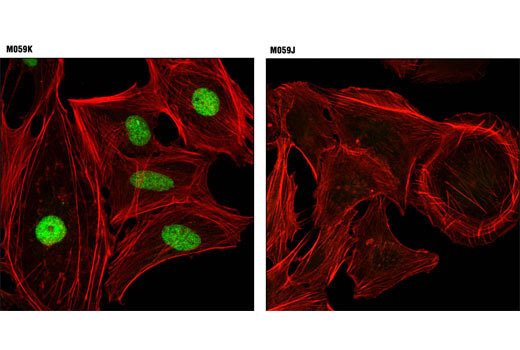 Confocal immunofluorescent analysis of M059K (DNA-PKcs wild-type; left) and M059J (DNA-PKcs deficient; right) cells using DNA-PKcs (3H6) Mouse mAb (green). Actin filaments were labeled with DY-554 phalloidin (red). DNA-PKcs (3H6) Mouse mAb recognizes endogenous levels of total DNA-PKcs protein. Monoclonal antibody is produced by immunizing animals with a recombinant protein fragment specific to human DNA-PKcs protein expressed in E.coli.